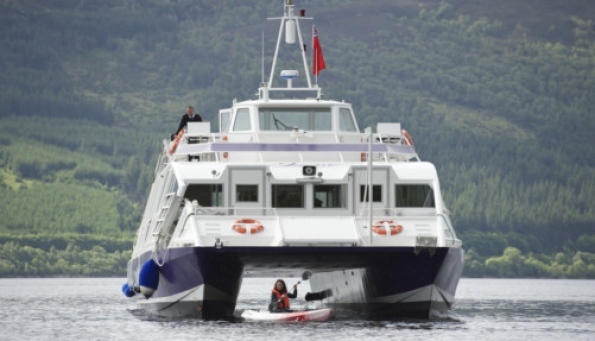 THE Jacobite Warrior, Scotland’s largest loch-based cruise ship, was launched today on Loch Ness. I feel a bit sorry for these tourists. They will arrive at the loch with Nessie expectations, only to have them dashed by the local experts! Would they have turned up if they had been told these theories beforehand? Well, perhaps I presume too much of the Jacobite tour guides? This post contains links to our series on land sightings of the Loch Ness Monster. The concept itself is summarised in the Overview article below. Articles will be added as and when completed. Overview - a general look at these most mysterious of sightings. Making an Impression - searching for tracks, depressions and other evidence. The Harvey and MacDonald Case - A little known sighting from 1934. The Margaret Munro Case - A famous case! Morphology Of The Monster - What do land sightings tell us about Nessie morphology and behaviour? Predator - Does Nessie hunt on land? The Curious Case of Lieutenant Colonel Fordyce - Perhaps the most unusual case of all. The Monk who saw the Monster - A previously unknown tale from the Abbey. The Cameron-MacGruer Case - Did Nessie terrorise a bunch of kids? Heart Attack Monster - Allegedly. A Rediscovered Land Sighting - From 1925 before the Nessie Era. For other classic land sightings consult the Classic Sightings section for the Spicers and Alex Muir cases.